Indian camp at Fort Colville by Paul Kane. The trade center Fort Colville (also Fort Colvile) was built by the Hudson's Bay Company at Kettle Falls on the Columbia River, a few miles west of the present site of Colville, Washington in 1825, to replace Spokane House as a regional trading center, as the latter was deemed to be too far from the Columbia River. Named for Andrew Colville, a London governor of the Hudson's Bay Company, it was part of the Columbia fur district of the HBC, and was an important stop on the York Factory Express trade route to London via Hudson Bay. Fort Colville was considered second in importance only to Fort Vancouver, near the mouth of the Columbia. At that time, Oregon Country was under joint British - U.S. occupation under the Treaty of 1818. The Oregon Treaty of 1846, ended the Oregon dispute and placed Fort Colville south of the new boundary at the 49th Parallel. 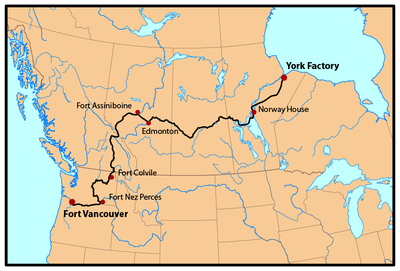 The Hudson's Bay Company then founded Fort Shepherd, just north of the new boundary, as a surrogate location secure on British territory; although operations at Fort Colville continued for a few years longer. 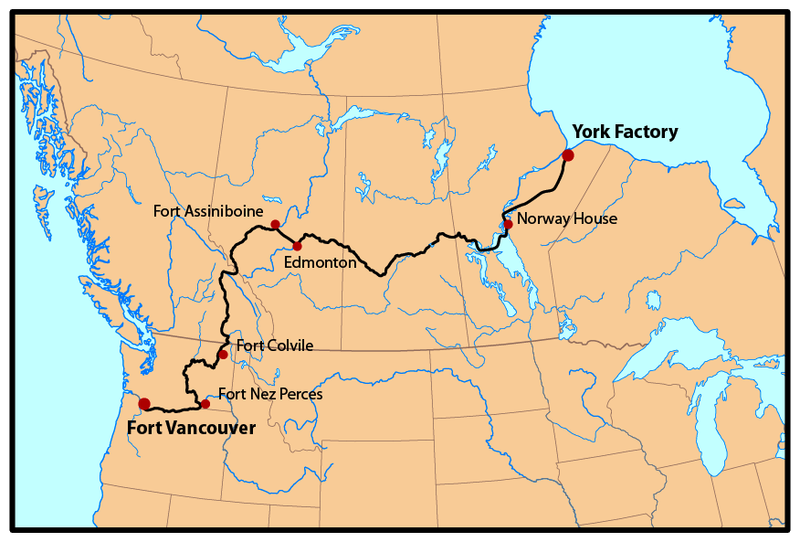 In 1859 the Palliser Expedition reunited in Fort Collville and then proceeded down the Columbia River, after having explored much of what is now western Canada, from the Great Lakes to Lake Okanagan. During the gold rushes of the 1850s and 1860s it became an important centre for mining activity and supplies. Abandoned in 1870, some buildings stood until they burned in 1910. The construction of Grand Coulee Dam flooded the site along with Kettle Falls in 1940. Lake Roosevelt was drawn down for construction of Grand Coulee Dam's Powerhouse #3 in the late 1960s and early 70's, revealing the Falls and the site of old Fort Colville, where archeological work was performed by Washington State University and the University of Idaho. Though it has been inundated by Lake Roosevelt, in 1974 Fort Colville was added to the National Register of Historic Places. ↑ Currents and Undercurrents:, An Administrative History of Lake Roosevelt National Recreation Area.